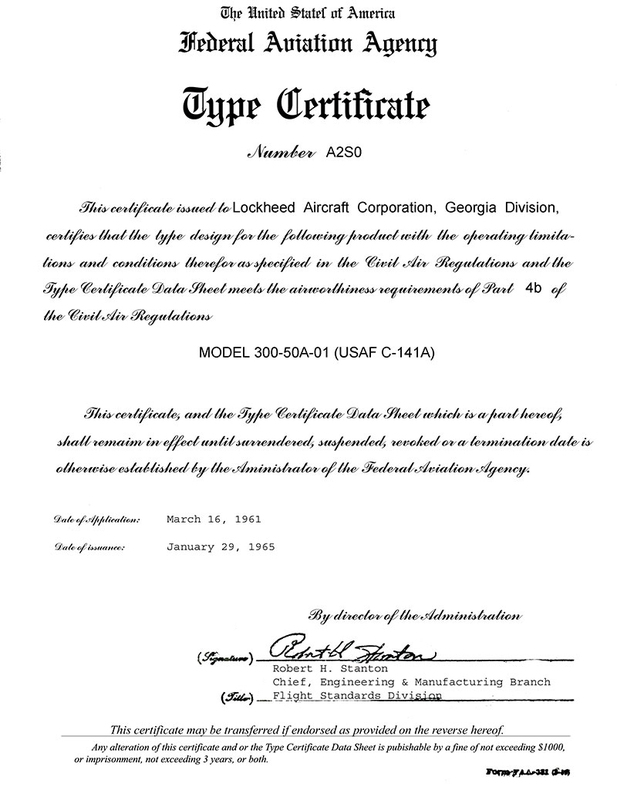 This is a PhotoShop 'reconstruction' of the original C-141A Type Certificate. There's still a little bit of fine tuning to be done (which may never get done! ), but for the most part it faithfully replicates the original copy without all the 10th generation Xerox copy noise.